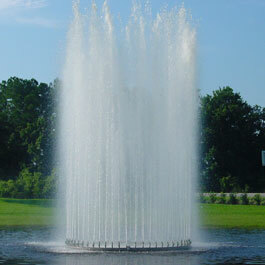 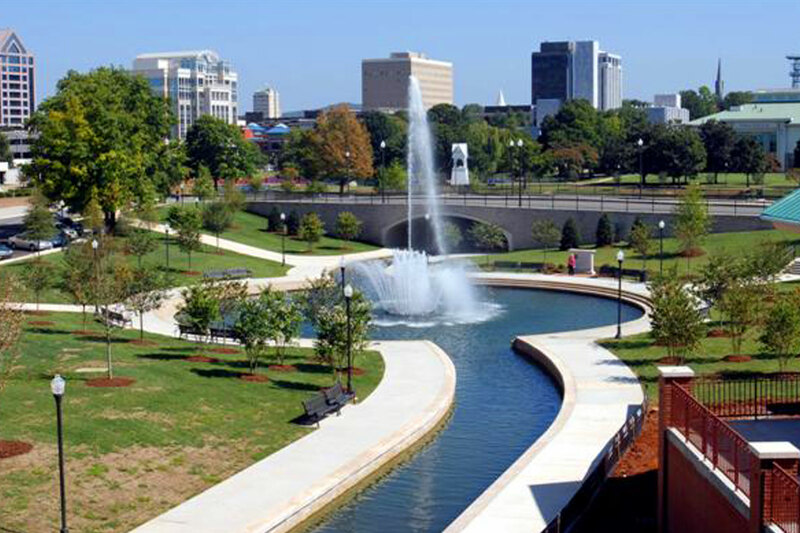 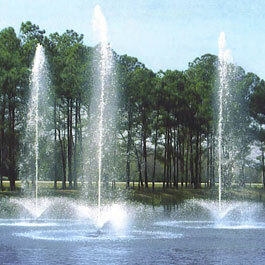 Delta Fountains manufactured the large, floating fountain in Big Spring Park. 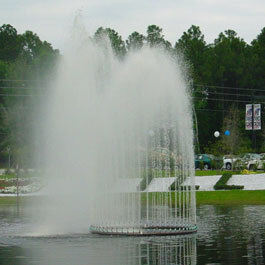 The float has waterproof lights inside that shine through the water spray. 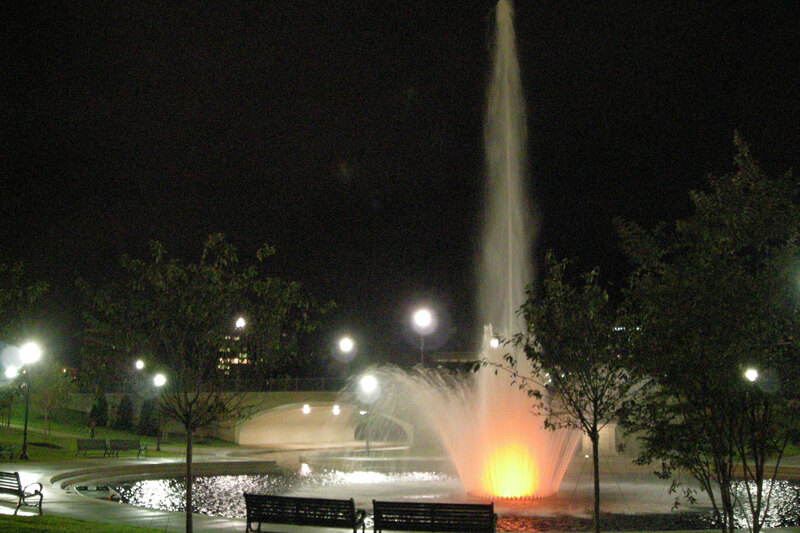 At night, the fountain lights up the park. 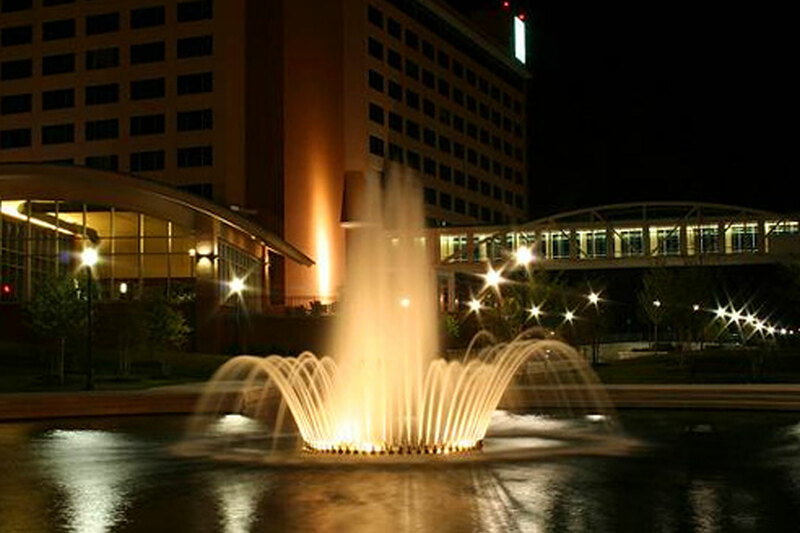 The park is a popular nighttime destination for Huntsville.